Looks JUST like the picture, right? It’s not a secret that I’m no cook. Dinner in my world is some chicken. Maybe some potato chips to go along with it and if karma is really flowing, I could add some mac & cheese. But I can make a mean pan of brownies (Betty Crocker Turtle are my favs 😉 ) and I do love to make appetizers. I figure if I have friends over and make appetizers, at least 1 or 2 will be good and the other ones will just get pushed to the back of the table. 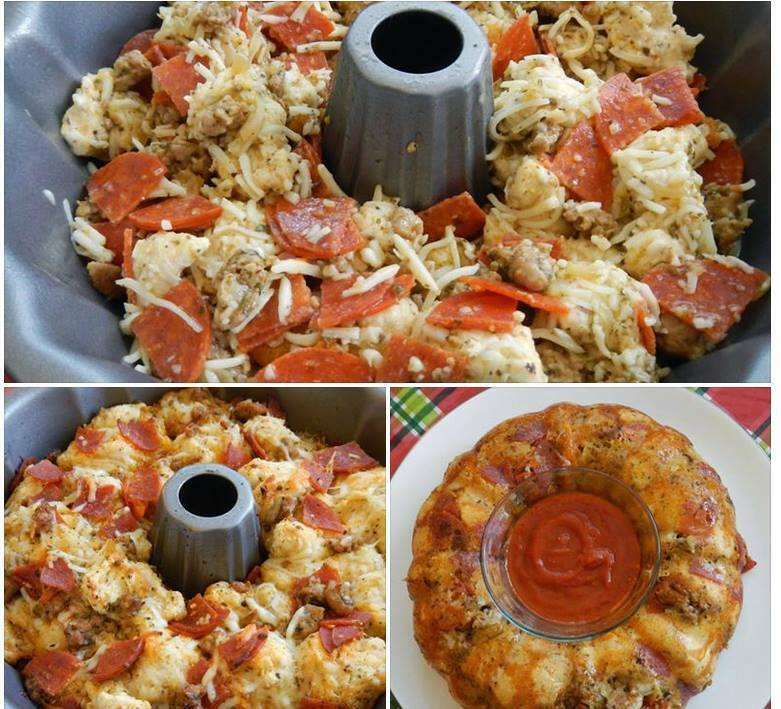 So, I found this new recipe for Pizza Pull Apart Bread. Mac’s sister, brother-in-law and friends were coming for the weekend and it seemed like the perfect time to try it. (Mac: you’re fixing something you’ve never fixed before for company? Me: They’re not company, they’re family. Besides, your brother-in-law will eat anything…). I reviewed the recipe, got the ingredients, printed the recipe so I could follow it closely and then read it and did EXACTLY what the directions said to do. Doesn’t that look Fabulous! I mean…LOOK at it! Perfection…pizza stuff, warm bread, marinara sauce…What could POSSIBLY go wrong! Thanks for reading what I write! If you like it, please share it with your friends, on facebook, twitter, the library, the ladies room…Wait. Never mind on that ladies room thing…. Next Tater’s Spa is a happenin’ place!! 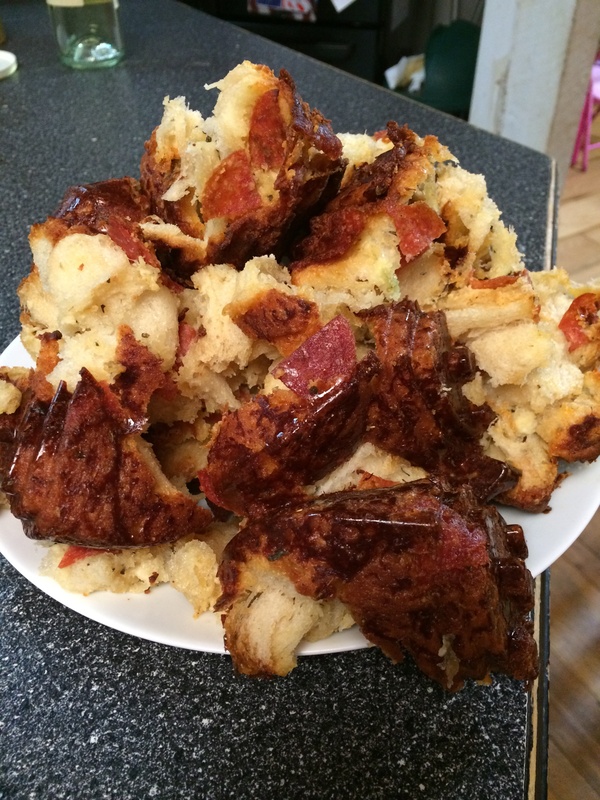 Thank you ladies for your comments on this recipe…..I think I will just layer mine in a 9×13 pan…LOL. Oh Jenni! That’s a Great idea! Rebecca ~ I SO wanted it to taste good because it looked SO awesome!